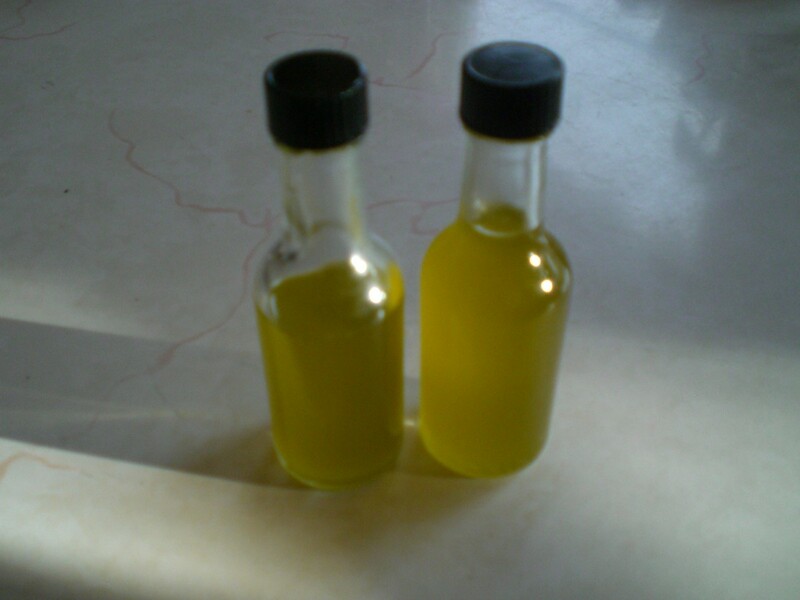 After enjoying an expensive set of infused (flavored) oils I received for a gift, I decided to try my hand at recreating them myself. It's easy! 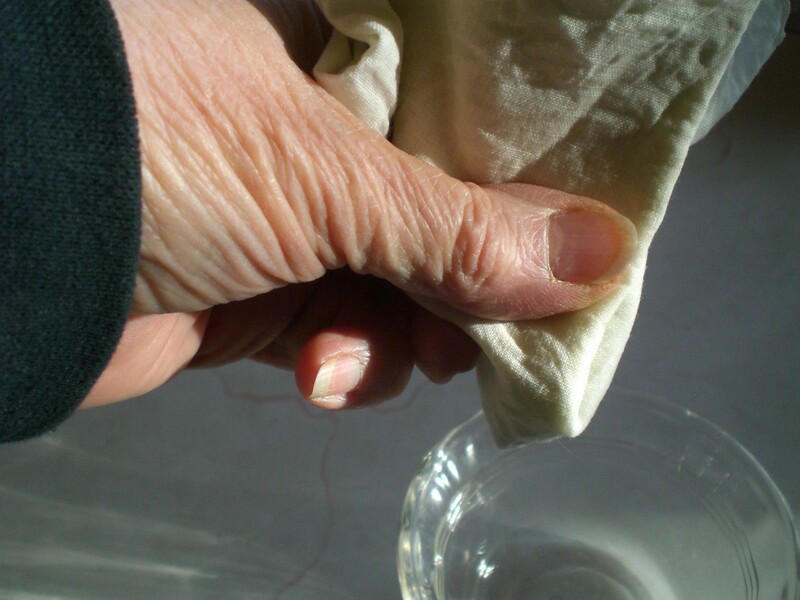 Here is how using the warm infusion method. * Got my rosemary from a large fresh plant I had. Grind or chop your fresh tough-leafed herbs (such as sage or rosemary). 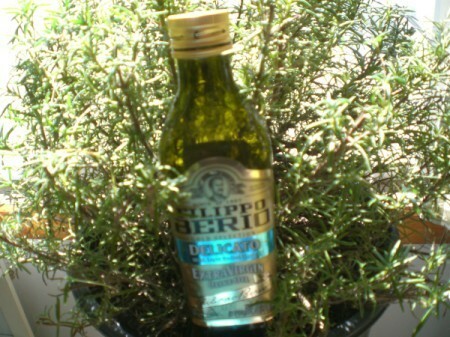 You may also use dried herbs. Heat your olive oil in a heavy saucepan over high heat until mixture begins to sizzle gently. Let it cook about 10 seconds, remove the pan from heat. Stir the herbs into the oil until the sizzle stops. 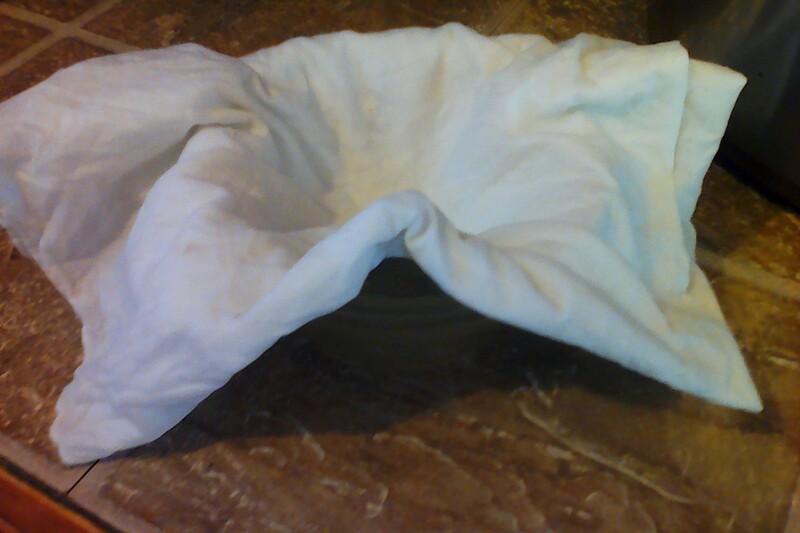 Pour the oil through a cheesecloth or new cloth handkerchief over a heatproof dish or cup. 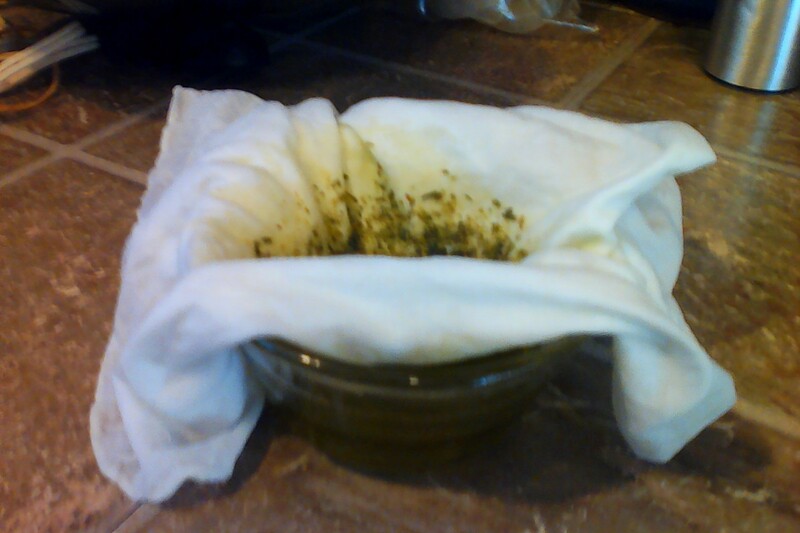 Squeeze the cloth after it cools down to get all the delicious flavor of the herbs. 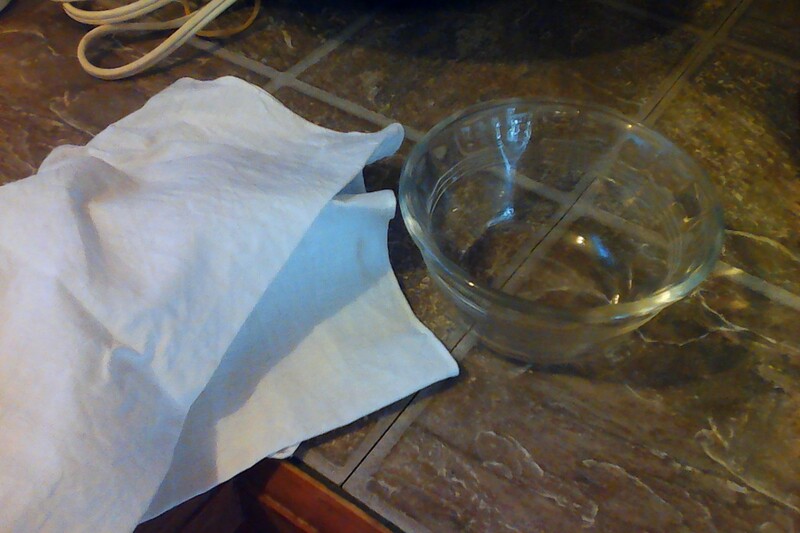 Pour into sterilized jar or bottle. 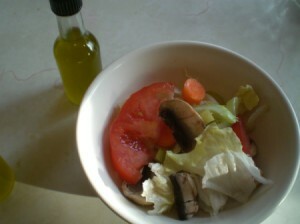 Refrigerate and use on salads or in cooking within the next week. I love this as my salad dressing! So fresh and delish! 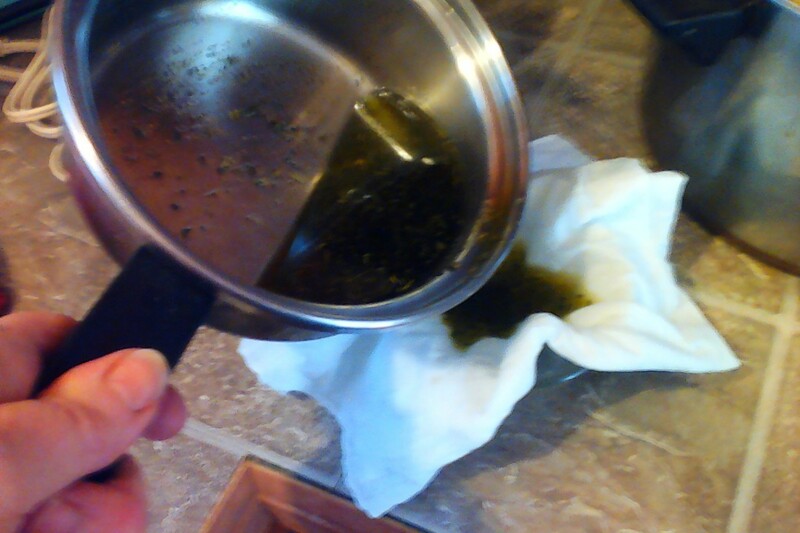 Editor's Note: Flavored oils can be a health concern if not prepared correctly. 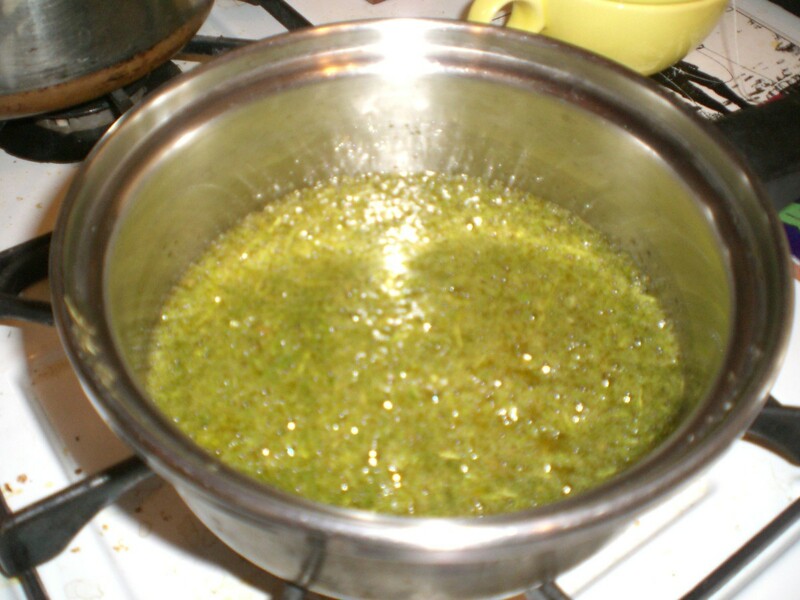 When herbs, garlic, or tomatoes are placed in oils, the botulism spores on the plant material can start to produce the toxin in this anaerobic mixture. 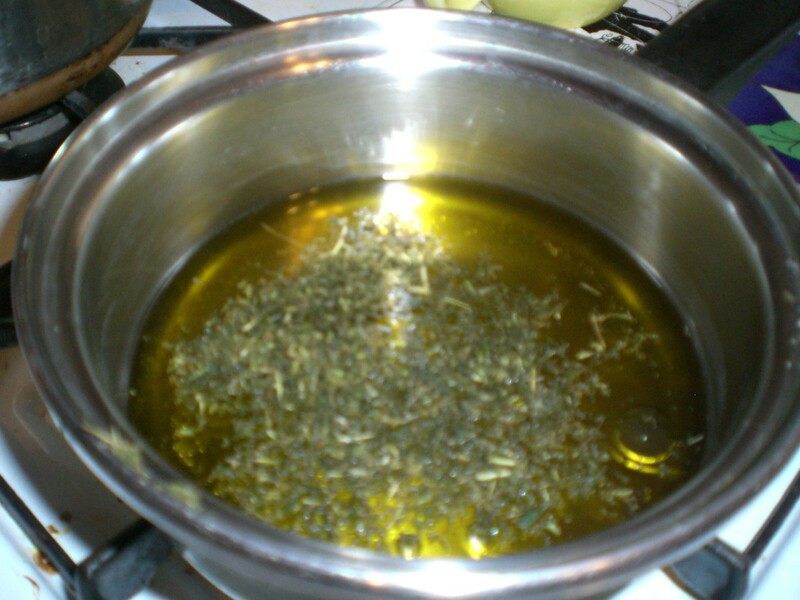 To be safe, keep these flavored oils refrigerated and make only the amount of herbal oils and butters that will be used in a few days. 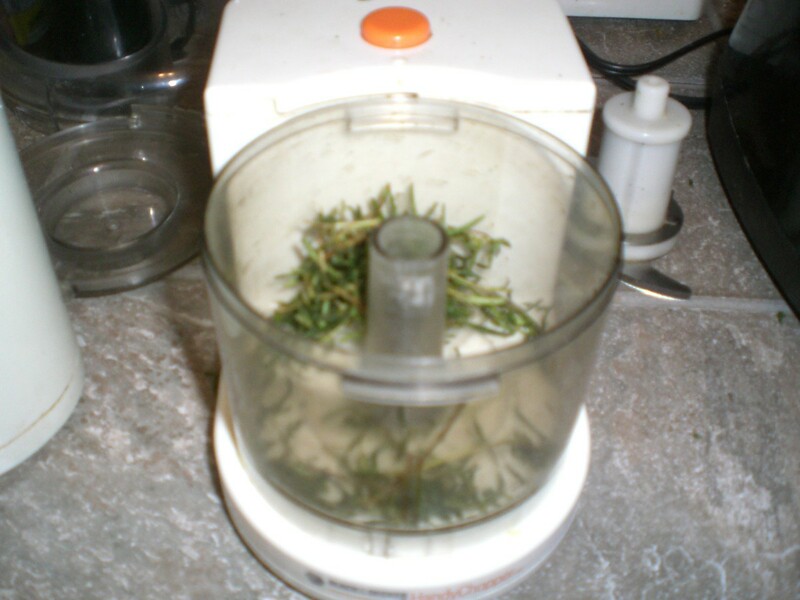 Using dried herbs and vegetables will also reduce the risk.